It is my pleasure to welcome you this afternoon at the launch of the new advocacy campaign ACT to Protect Children affected by Conflict. Today, we are launching an initiative to revitalize our commitment to better protect children who have been used and abused by, in and for armed conflict around the globe. 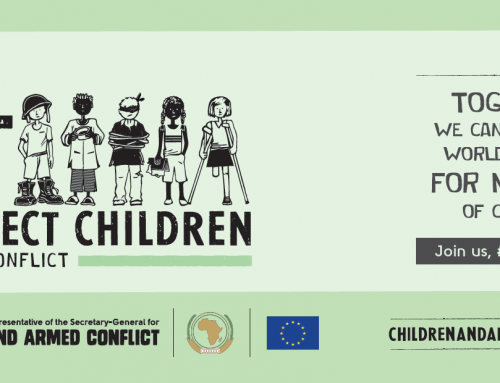 In the next two hours or so, we will have the privilege of listening to all those champions of the CAAC mandate, who through their tireless efforts allow for the monitoring and reporting of violations as well as assisting in the development of action plans and in the separation and reintegration of children used and abuse by in and for armed conflict. We will also hear compelling stories, which I hope will not only show why it is so wrong to use and abuse children in armed conflict but also demonstrate the powerful action that victims can undertake on behalf of others if only they are given a voice. Before we proceed, I would like to thank the co-sponsors of today’s event: The European Union and the African Union. Lastly, I am extremely grateful to all of you who are attending and supporting with your presence this event. 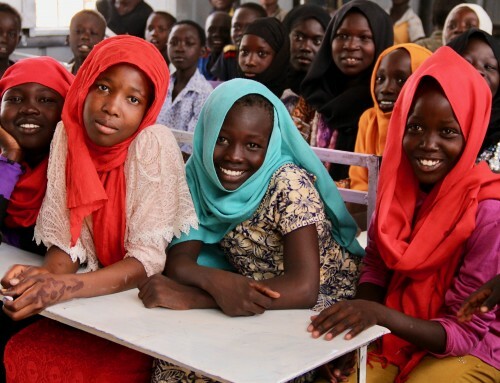 The backing of such a great number of States is not only a guarantee that the voices of more boys and girls will be heard, but also that together, we will be able to ACT to better protect children from the perils of armed conflict. And Ms Jo Becker representing our crucial partners from the civil society. I could not have imagined today’s event without all of you. Your staff is posted in every country on the CAAC agenda and through you and the interactions with you in the field, my office can accomplish its mandate. Special thanks to Angela Atim Lakor, who travelled from Gulu, Uganda to be with us today. Angela survived many years at the hands of the LRA. Angela, the manner in which you have managed to rebuild your life and your commitment to help others are truly inspiring and we thank you for your willingness to bring your voice to this event. As many of you are aware, the initiative we are launching today has been in development for the past year. 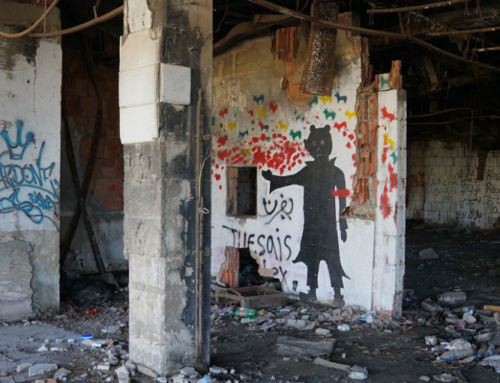 And to those who may have wondered why there was such an urgent need to raise awareness about the core of the Children and Armed Conflict mandate – the 6 grave violations – and to put a strong emphasis on tangible actions to end and prevent them, I have a simple answer: because we desperately need it. We need it to highlight the impact of conflict on children. And we equally need it to highlight positive developments and opportunities that cannot be missed to make a difference in children’s lives. In the past few days alone, children were among the casualties of an attack that reportedly killed over 130 people in central Mali. In Afghanistan, children were among the dozen victims of an airstrike in Kunduz province. In Yemen, a week ago, an airstrike on a hospital supported by Save the Children resulted in the death of civilians, including a health worker and 5 children. There are however many reasons to remain hopeful, especially when we look at the progress accomplished in some of the world’s most difficult places. In the Democratic Republic of the Congo, the child protection specialists are redoubling their efforts to engage with armed groups and to raise awareness on the needs to release child soldiers and to end and prevent grave violations against girls and boys. In the South Sudan and Central African Republic many children have been released, with over 500 children released in CAR in the last two months. Over the years, our mandate has progressed thanks to all of you. 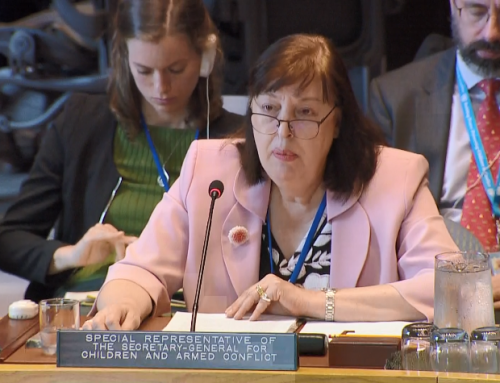 The recruitment and use of child soldiers, sexual violence against children in conflict, the abduction of children, have gone from violations that provoked outrage to problems that are actionable. Our common work has helped create an international consensus that grave violations against children in times of war are unacceptable. 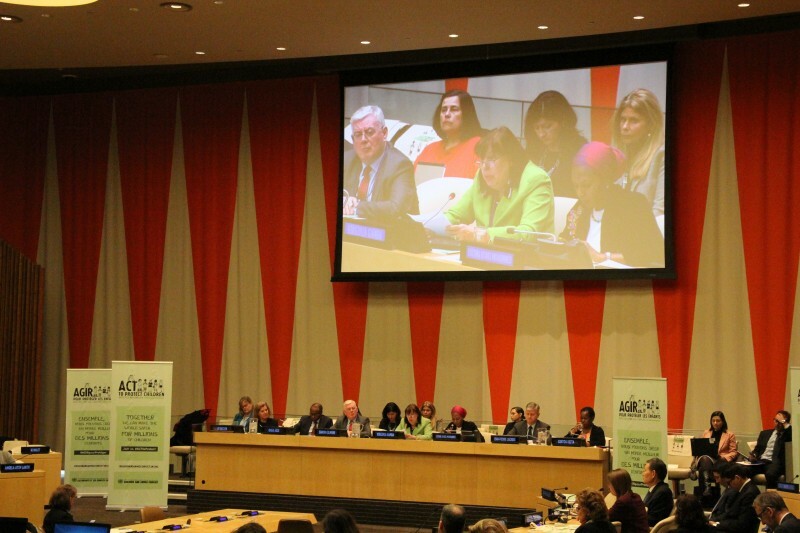 We also have effective tools created by the international community to act. This is important progress. But the campaign I am launching today aims to remind everyone that our work is far from over. Consensus, tools will not bring the change we need if they are not followed by tangible actions for the children who need it the most. Let me highlight a few actions the campaign will push for – starting with international commitments. As we celebrate the 30th anniversary of the Convention on the Rights of the Child, let’s not forget that its optional protocols, notably OPAC, still haven’t reached universal ratification. Let’s aim to work together this year to get as many new commitments as possible. Additional tools, such as the Paris Principles, the Safe Schools Declaration and the more recent Vancouver Principles should also be endorsed by every Member State. We can join forces to advocate for these endorsements. This is important because norms matter. 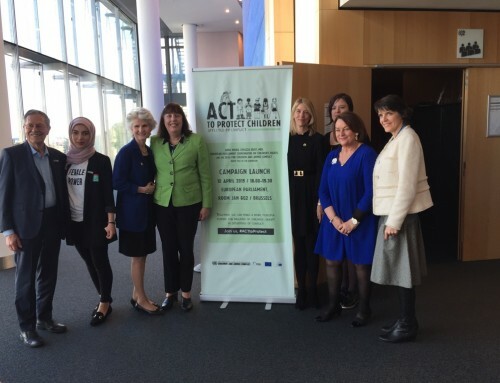 Endorsements and ratifications of international agreements bring us one step closer to their implementation in contexts where they can have a real impact in children’s lives. Let me now turn to Action Plans. This tool, painstakingly developed by the international community through the Security Council, no longer needs to prove its effectiveness. What we need now is full implementation by all those parties who have signed an Action Plan, with the support of Member States, UN and NGO partners when needed. We also need to boost our engagement with as many parties as possible to generate more action plans, covering the 6 grave violations with a clear focus on ending violations and preventing their reoccurrence. As you know, I have taken a strong interest in prevention, in line with the Secretary-General’s priorities, and with the most recent Security Council resolution on children and armed conflict. Security Council Resolution 2427 is cognizant that we will never truly protect children if, in addition to all the work we already do, we don’t push for initiatives to prevent violations in the first place. Resolution 2427 not only points to the need to prevent violations against children in countries affected by armed conflict but in their immediate regions as well. I therefore hope that all regional organizations, like those sponsoring this event, will develop their own implementation packages to act for children through rolling out prevention and public awareness activities such as this one. Finally, delivering services is of the utmost importance. We cannot expect that children who have faced the worst of humanity will be able to recover on their own. Through the Global Coalition for Reintegration, launched last year with UNICEF, we are studying the best possible ways to improve the availability and quality of these essential services. We are launching this campaign here today, but the goal is to take our advocacy to as many countries as possible. We will have another event next week in Brussels and then, the campaign will move to the Sudan, Central African Republic, DRC, Mali, regional centers such as Addis Ababa, Bangkok and Dakar, and by the end of the year, I hope to as many countries on the agenda as possible. Each one of us wants to be remembered for their actions. Our moment is now, let’s join forces and ACT to Better Protect Children Affected by Armed Conflict.